The previous episodes of ZEE5 original Parchhayee have starred the likes of Shakti Kapoor, Raima Sen, Sarah Jane Dias, Amol Parashar, and others. ZEE5 Original Parchhayee: Ghost Stories by Ruskin Bond brings to life terrifying and spine-tingling tales by the celebrated author Ruskin Bond. The web series observes quite an approach, doesn’t feature necessarily blood-smeared faces or bone-chilling ghostly figures making abrupt appearances. It might not give you the screams, but chills it definitely assures. Six episodes of the web series have been released so far. 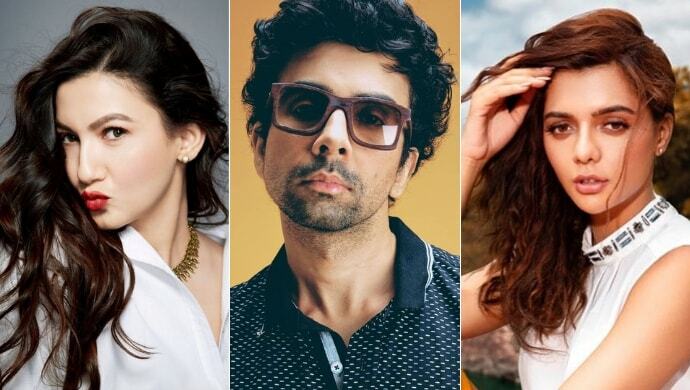 And we have exclusively learned that actors Gauahar Khan, Ruhi Singh and Naveen Kasturia have been roped in for an upcoming episode of Parchhayee. The story of the episode revolves around a town where nobody who has sinned or offended can settle down. The narrative follows the journey of a man who enters the town to buy some property. But will he ever return? That yet remains to be seen! Who do you think shall play the ghost? Guess we will have to wait and watch. The previous episodes have starred the likes of veteran Bollywood actor Shakti Kapoor, actress Raima Sen, Sarah Jane Dias, Farida Jalal, and Amol Parashar. Now, Kya Kool Hain Hum 3 actress Gauahar has signed the dotted line. She has been a part of several Bollywood blockbusters and reality television shows. As for Ruhi, the Former Miss Universal Peace and Humanity Ruhi made her debut with Madhur Bhandarkar’s film Calendar Girls. Naveen, on the other hand, has assisted on various Hindi movies including Emraan Hashmi’s Tigers. He is quite a popular name in the world of internet. We recently informed you that Sumeet Vyas and Isha Talwar are all set to make an appearance in the Topaz episode of Parchhayee. The episode starring Sumeet and Isha shall be released on ZEE5 tomorrow i.e. April 12, 2019. For further information, keep watching this space to never miss an update about Parchhayee. In the meantime, you can also watch another ZEE5 original Abhay starring Kunal Kemmu and Sandeepa Dhar.